If you notice that your basement or foundation walls have become bowed walls, it’s possible the problem has existed for quite some time. Foundation walls encounter bowing primarily due to hydrostatic pressure. This occurs when water presses against basement walls. If the load bearing capacity of the wall is exceeded, the wall will bow and fail when expansive soils or frost cause fatigue and damage to the wall. The process of straightened a wall requires excavating the surrounding soil, alleviating as much weight on top of the wall as possible, and lastly, pushing the wall back to as close as plumb as possible. During this process, it is possible for the wall to lose some of it’s structural integrity. In this case, there are a number of reinforcement options. Contact Kaufman for a free evaluation! 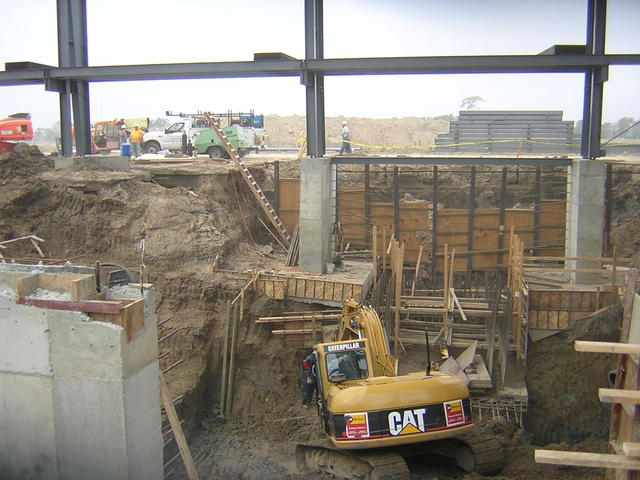 We have decades of experience in foundation repair.